Cor blimey guv'nor, 2019 is a month old and already it feels like it's been going on forever. Alas, until Brexit day comes that's how it's going to be. Okay, let's put this aside and consider something else at a more sedate pace - the five most popular posts of the last 31 days. The ongoing crisis in establishment politics dominates, as you might expect. It's not just Brexit, it's how the whole scene is unravelling and spooling off in all directions. 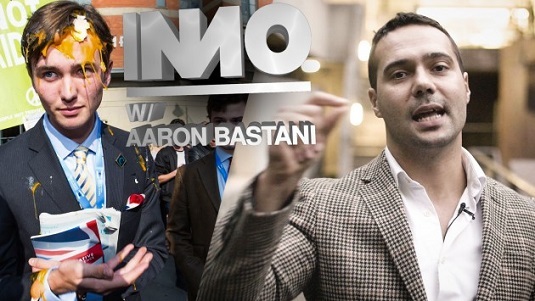 And so the attempted collective take down of Novara Media co-founder, Aaron Bastani, features as the month's most-read intervention. A not so curious case of jealousy and fear, I'm afraid to say. Anti-Corbynism and Brexit revisits the scene of the bourgeois character of the continuity remain campaign and how one cannot bodyswerve the inescapable fact that just as anti-Corbynism is a crucial current in establishment politics, we find this repeated and replicated in pro-EU positioning. Going to the other extreme we took a look at John Mann's capitulation to Theresa May's Brexit deal, a position he has since doubled down on. It's probably fair to say whether the deal stands or falls is largely in his hands, at least where Labour is concerned. Readers then found the politics surrounding the abuse of Anna Soubry congenial, followed by the public hand-wringing of Heidi Allen over the policies she has consistently supported and voted for in the Commons. I've got two posts knocking about the second chance saloon today. The first is my blink-and-you'll-miss-it missive from last night on the market in higher education. And second up is a bit more chin strokey. Yes, Venezuela is commanding a lot of attention right now as Western powers have moved into a position of stoking civil war in that unhappy country, but standing square in their corner are among the worst people, including the newly-installed president of Brazil, Jair Bolsonaro. Now, I don't know a great deal about Venezuela but I do know more about what's happening in Latin America's largest and most populist country, and in this post we see Bolsonaro's project is primarily about resetting class relationships to make the country even safer and permissive to international capital. No doubt next month's going to be a busy one again, but here I'll be scribbling about it all. "Anti-Corbynism and Brexit revisits the scene of the bourgeois character of the continuity remain campaign and how one cannot bodyswerve the inescapable fact that just as anti-Corbynism is a crucial current in establishment politics, we find this repeated and replicated in pro-EU positioning": what on earth are you on about Phil? Have you not noticed that Brexit is a right-wing Tory project? That the overwhelming majority of the pro-Corbyn Labour membership oppose Brexit and want a second referendum? That Corbyn and his Brexiteer Stalinist handlers have, throughout, used bureaucratic manoeuvres (worthy of the Blairites)to thwart the wishes of the membership? And what do you think of Corbyn's new-found willingness to hold talks with May about facilitating Brexit and his (reported) opposition to the backstop?